Herbs for menstrual cramps generally promote blood circulation and also warm the lower abdomen such as cinnamon and turmeric. Menstrual pain is a very common and debilitating condition to many women. The most common cause underlying menstrual pain is a combination of Liver Qi Stagnation and Liver Blood Stasis, according to Traditional Chinese Medicine. stress all disrupt the Liver's ability to keep the Qi and blood circulation flowing smoothly and correctly. This in turn causes the energy of the Liver meridian to become blocked. Since the Liver meridian runs directly through the ovaries and uterus, this blockage can lead to lower abdominal pain and menstrual cramps. Liver Blood stagnation is a more serious blockage of the actual menstrual blood flow. This results in severe stabbing abdominal pain and dark clots with the period. Cold can get trapped in the blood of the uterus causing a congealing of Liver Qi and Blood. This is why women should not where skirts in cold weather and always eat warm food such as curries and stews, while avoiding cold foods like ice cream and ice water. 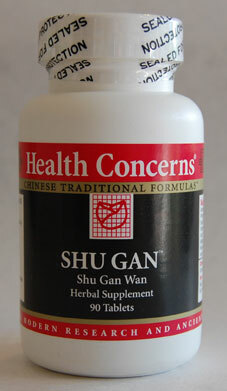 It is advised to keep the lower abdomen warm to promote circulation of Qi and Blood and Expel the Cold. Putting Castor oil on the lower abdomen with a hot water bottle on top can warm the Liver meridian and Uterus which will promote Qi and Blood circulation, stopping the pain. Warmth and heat promotes circulation while Cold constricts and slows down the flow of Qi and Blood. Always avoid cold foods such as ice cream and cold beverages before and during the period. It is important to have a differential diagnosis of the cause done by a professional Acupuncturist or Chinese herbalist so that the correct herbs are administered for you particular pattern. What works for one woman's menstrual cramps may not work for someone else. 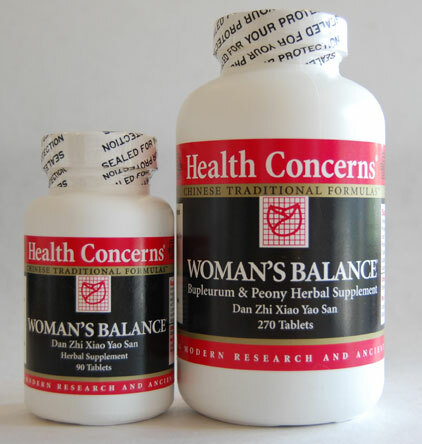 One of the most commonly prescribed Chinese herbal formulas is Dan Zhi Xiao Yao San which translates as Free and Easy Wanderer powder. I use a modified version of this formula in my practice called "Woman's Balance". This formula is designed to help Soothe the Liver Qi, promoting the circulation of Qi in the Liver meridian, Strengthens digestion, and Moves and Nourishes Liver Blood. 3 pills, 3 times per day, right before meals. 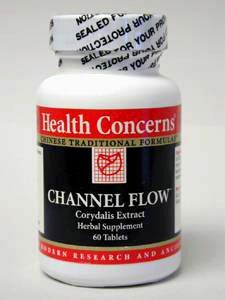 This formula should be taken for 2-3 weeks before the period starts to get the desired effects. Herbal treatment is gentler than drug therapy and therefore they require continued consumption for a period of time before the effects may be recognized. The formula is a QUICK FIX to STOP PAIN. I have used this formula for all types of pain, including menstrual cramps with very quick results, very often immediate. This formula is strictly to help diminish pain due to its high dose (25% of the formula) of a 7:1 extract of Yan Hu Suo, which is the principal pain relieving herb in the Chinese Materia Medica. Other herbs included strongly break up blood clots and promote blood circulation, like aspirin, which also help stop pain. 3 pills taken as needed, every 2 to 3 hours. Although technically not an herb, Magnesium is remarkable powerful at reducing menstrual cramps, and most other muscle cramping for that matter. Magnesium is an essential mineral for many biochemical pathways needed to help relax the muscles, nerves, and mind. Magnesium is very much a sedating mineral and can help just as well with stress or insomnia. If you begin taking these Magnesium supplements 1 week prior to your period at 2 pills, twice per day morning and evening, this should definitely help with PMS, irritability, anger, insomnia, and painful periods. Because Magnesium has such a sedating and alkyline effect on body chemistry, you may need a digestive enzyme with HCL stomach acid to help with the digestion of protein. Sodium is very much reduced by Magnesium, which is partly why Magnesium also very good at reducing blood pressure. However Sodium levels must be maintained for the production of HCL stomach acid for the digestion of protein. You may also feel fatigued if your Sodium levels get too low. If you feel like you are becoming too drowsy, only take 2 pills at night and skip the morning dose. When your period comes, take 1-2 pills every 2-3 hours to help stop the menstrual cramps. Epsom salts - 2 cups in a bathtub makes an excellent pre-period soak to help increase magnesium directly to the muscles and tissues that need it. Again this can help with anxiety and insomnia as well. Caution!! Most magnesium products are very laxative and may cause loose stools. 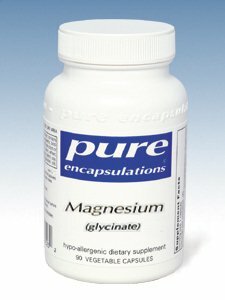 Magnesium glycinate (see above) has the least laxative effect and is also very easily absorbed by the intestines.